Blog home > Conservation > Me Now. I’ve heard similarly shallow, self-serving perspectives expressed during the run up to the General Election and again in the developing conversation on the potential reintroduction of lynx to the Scottish Highlands. I’ve heard all of these concerns and many more besides and to varying degrees, they are real and understandable but are nevertheless symptomatic of a societal disease, which dominates our decision making: Me Now. We seem to be incapable of thinking beyond our personal aspirations and circumstances Right Now. Whether you’re in favour of Scottish Independence or not; whether you vote blue, red, yellow or green and whether you support the reintroduction of species that we previously eliminated, your vote, your view, should surely look beyond Me Now? 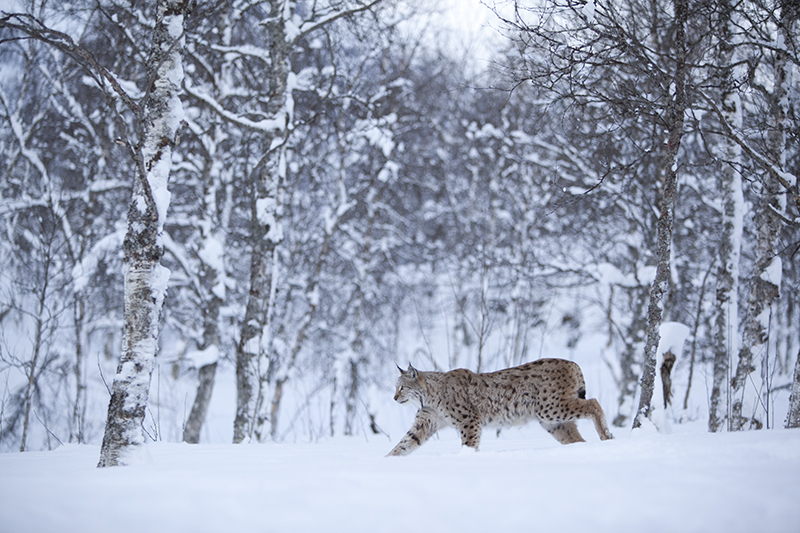 Returning lynx to the Scottish countryside is for me, a moral and ecological imperative. Not because I personally think they’re cute; not because they would make a great photographic subject: it’s not about Me Now. It’s about putting the ecological jigsaw back together; repairing our broken natural systems. It’s about restoring food webs, allowing natural processes to fuel nutrient cycles. It’s about considering the longer-term, bigger picture – way beyond Me Now. It’s about doing what’s right. I understand fully the need for all of us to protect our interests – economic, cultural and political – but surely those interests should take account of the interests of wider society and indeed, of other species? The Me Now attitude that governs our political decisions has crept into the ecological arena, putting obstacles ahead of opportunities; creating division where unity is needed. I don’t want my dog or my cows to get eaten by a lynx or a wolf or a bear. But equally I don’t want generations that follow this one to live in an impoverished landscape where the only thing that matters is Me Now. Well perhaps not yet Pete but let’s work on that! There is no point in putting lynx or wolves or anything else back into the British Isles. Our police force and politicians are not interested in protecting wildlife and we would just be adding to the predators used for target practice by people with conflicting interests. When bears,lynx and wolves roamed the UK there wasn’t nearly 70 million humans roaming the countryside. A very valid point but lynx do live alongside densely populated semi-urban areas elsewhere in Europe. Ditto wolves and bears. I agree there are challenges but it can be done. Ecologically Lynx reintroduction should be considered and made to happen. Scotland has a population of approximately 300,000 Roe deer and 450,000 Red deer and 30,000 non-native Fallow and Sika deer. They have no natural predator to keep numbers maintained and healthy. Lynx can help with that especially the roe deer. Some of the comments that Peter has heard shows just how uninformed the general population is about the habits and ecology of these beautiful cats. If as Peter puts it, Me Now, is allowed to hinder and block a controlled release then we should all be ashamed. These cats belong in our landscape and are only not here because humans forced them out. Scotland is the home of the lion rampant so why should we not have our big cat back living beside us. I to would love to see the wolf, bear and lynx back where they belong but I personally feel that it would be far to controversial for it to be successful and whilst the idea has at its core ideals that are worthy I do not think it is fair on the introduced animals to have them face fierce opposition which will no doubt lead to persecution and suffering of the animals. I do NOT want to see them introduced into “safari park” situations where an electrified fence protects them but also takes away their wildness since this certainly does pamper to the conservationist ME NOW neediness. This island is too small to successfully allow these animals to be reintroduced without the attendant persecution and no matter how many politicians vote for it will not prevent it happening. Whether we like it or not these beautiful animals where driven to extinction in this country by mankind because of fear and a need for land free of predators and in the hundreds of years that have since passed have we really changed that much? Thanks for your valid points Nick. I personally think the question is not so much “Have we changed?” but “Could we change?”. There is prey and habitat in many parts of the UK certainly for lynx and wolf, the issue is whether we’re prepared to accommodate these animals.